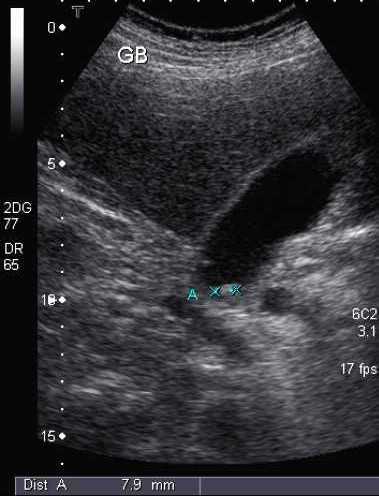 Image 1 (Ultrasound): Calculi in the gallbladder (green crosses). 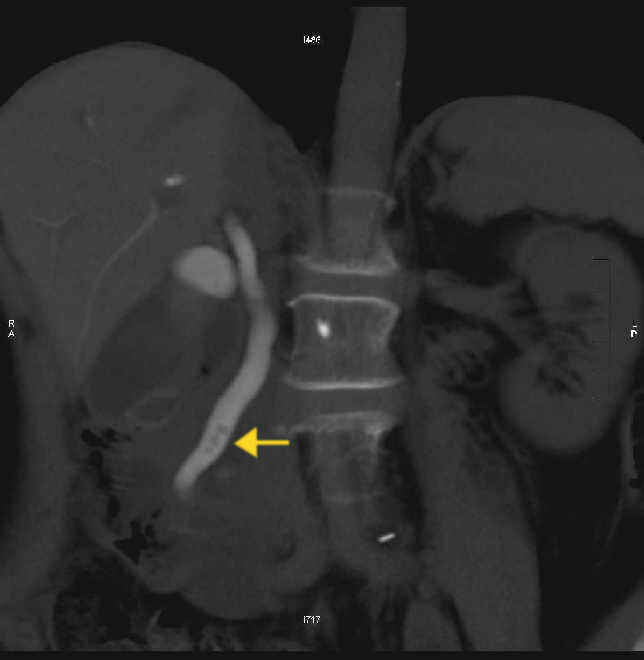 Image 2 (CT Cholangiogram): Three small filling defects (arrow) are seen within the common bile duct representing intraductal calculi. 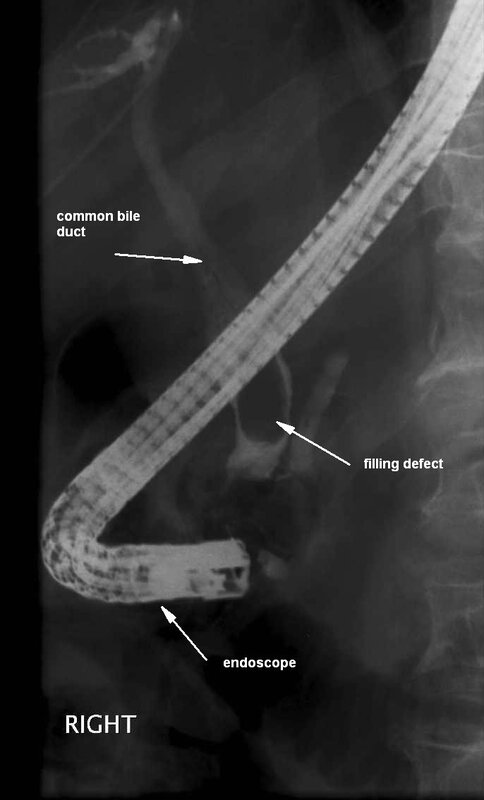 Image 3 (ERCP): Gallstone present in the dilated common bile duct. 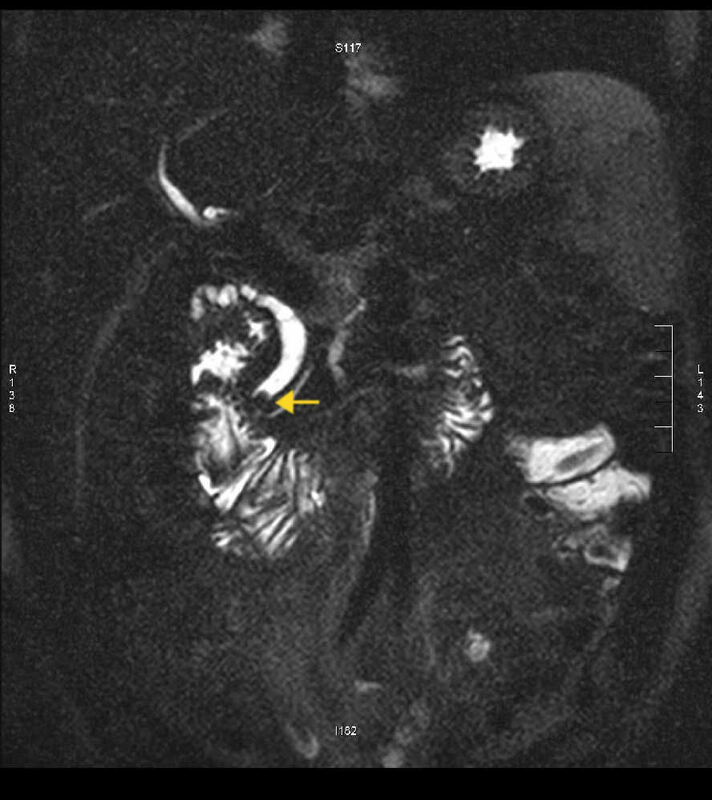 Image 4 (MRCP): Gallstone present in the dilated common bile duct (arrow). 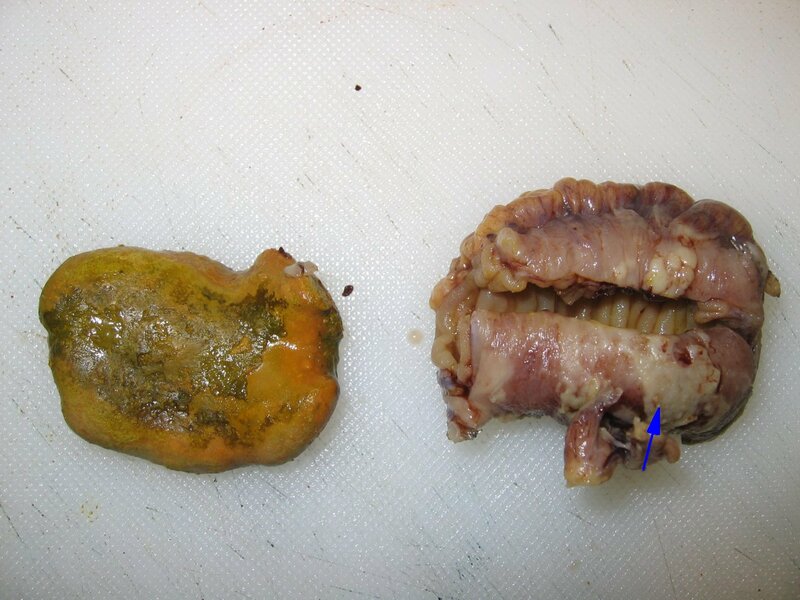 Image 5: Cholecystectomy showing acute cholecystitis with gallbladder wall oedema, vascular congestion and purulent exudate (blue arrow) caused by a massive cholesterol stone. 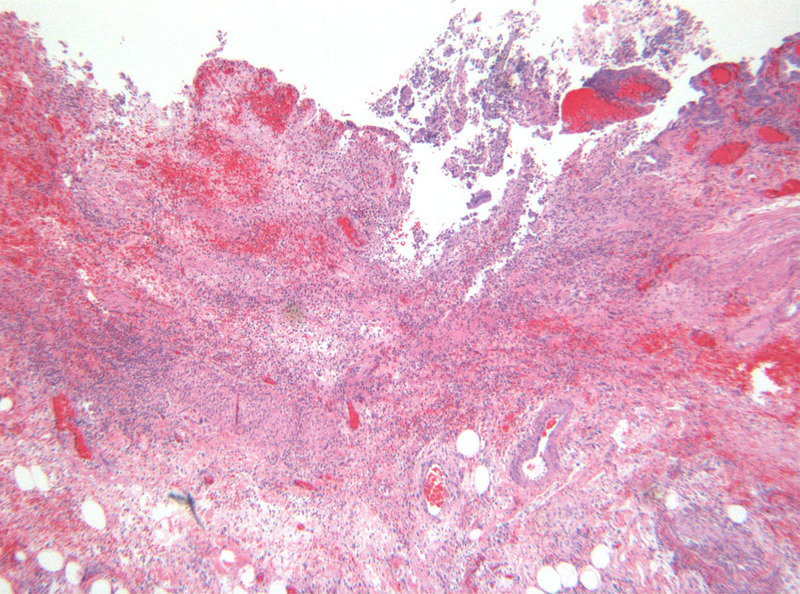 Image 6 (H&E, x2.5): Histological section of severe acute cholecystitis showing extensive ulceration of the mucosa, haemorrhage, oedema and a dense transmural infiltrate of neutrophils and mononuclear inflammatory cells.